Your home wouldn’t feel like home without proper heating. Having said this, it’s important to invest in an efficient system worth its price tag. 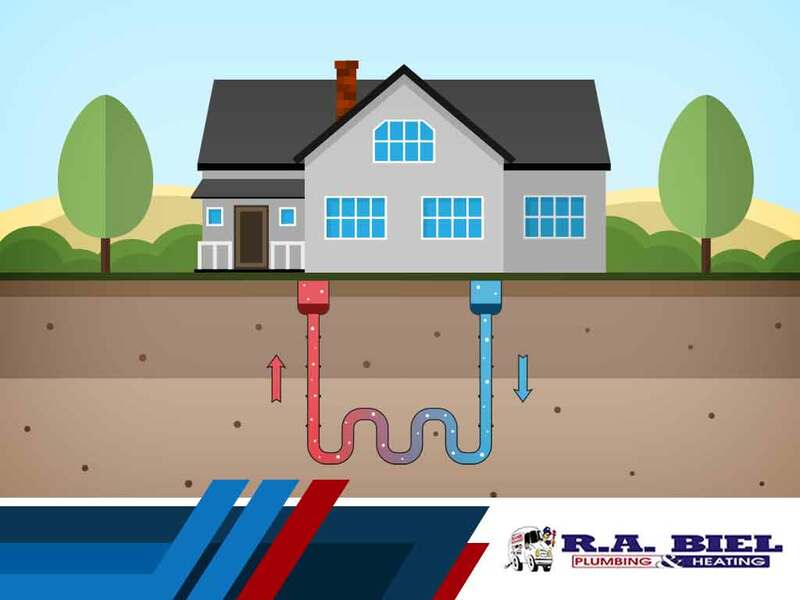 Today’s article from your heating repair company, R.A. Biel Plumbing and Heating, Inc., highlights the features of geothermal heating. Instead of electricity and gas, geothermal heating harnesses the power of the earth’s naturally stable temperature to provide warm air for your home. A typical geothermal system consists of two main components: a heat pump and a ground loop. The heat pump is the indoor unit while the ground loop consists of underground plastic pipes connected to the heat pump. These underground pipes are drilled vertically or horizontally at least 200 feet into the ground. Keep in mind that geothermal systems cannot be installed or fixed via DIY solutions. Should you encounter any issues with your geothermal system, it’s best to consult a professional heating and air conditioning repair company. During winter, these underground pipes circulate water to absorb the heat from the earth. The heated water then returns to the indoor pump. The indoor pump is responsible for extracting heat from the water, which is then released into your home as warm air. No energy conversion is involved in this process, as heat is merely transported from below ground level and into your house. The process is reversed during summer. The heat pump removes warm air from your home and extracts the heat from it. Cooler air is then released inside. The heat is expelled back into the ground via the underground pipes. The upfront cost of a geothermal system shouldn’t discourage you from its advantages. For one, a geothermal heating system is four times more efficient than even the best-performing natural gas furnace. According to the Department of Energy, households with geothermal systems can save 50% to 70% of heating and cooling energy usage. Your geothermal system will pay for itself in the long run. If you prefer comfortable indoor temperature all year round, consider a geothermal system for your home. R.A. Biel Plumbing and Heating, Inc. is a licensed geothermal systems installer. We also offer drain and sewer repair services. You may call us at (505) 672-7888 or (970) 884-3358.